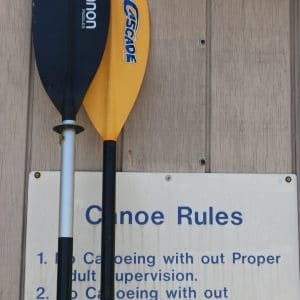 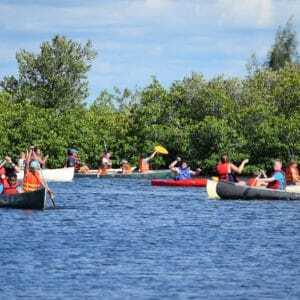 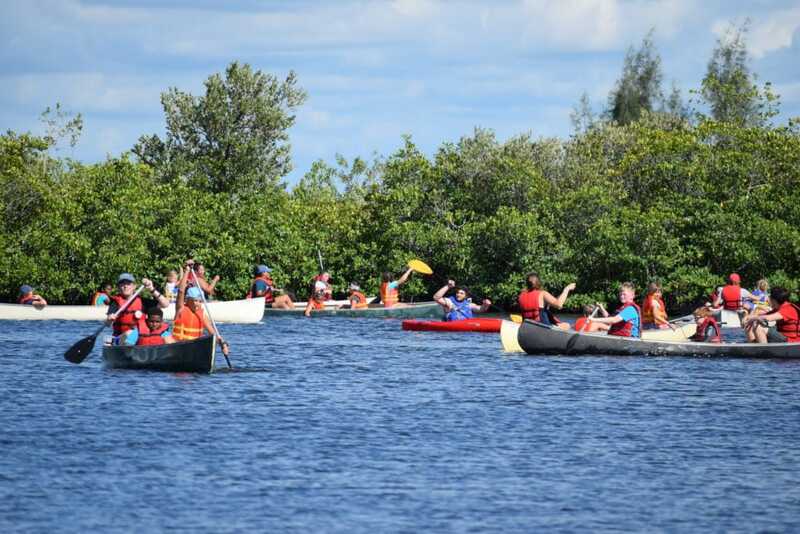 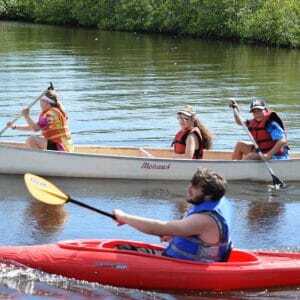 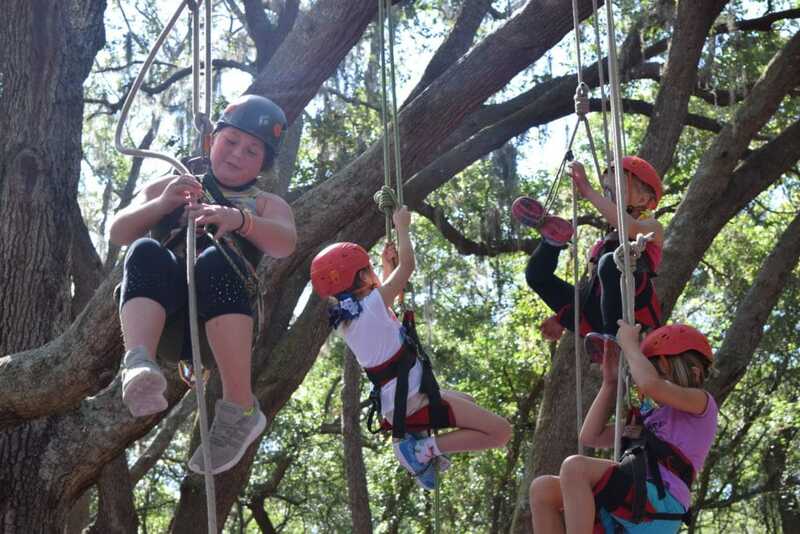 Many of our outdoor offerings can be enjoyed by groups on their own; however, activities like the High and Low Ropes Courses, Tree Climbing, Canoeing and Kayaking require trained facilitation due to safety requirements and equipment logistics. 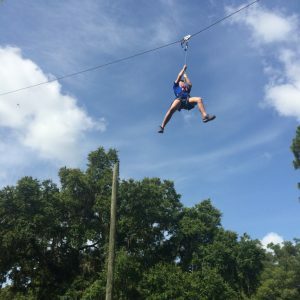 Contact DaySpring Reservations for details about facilitation by the DaySpring staff or one of our partners, Pathfinder or Common Ground. 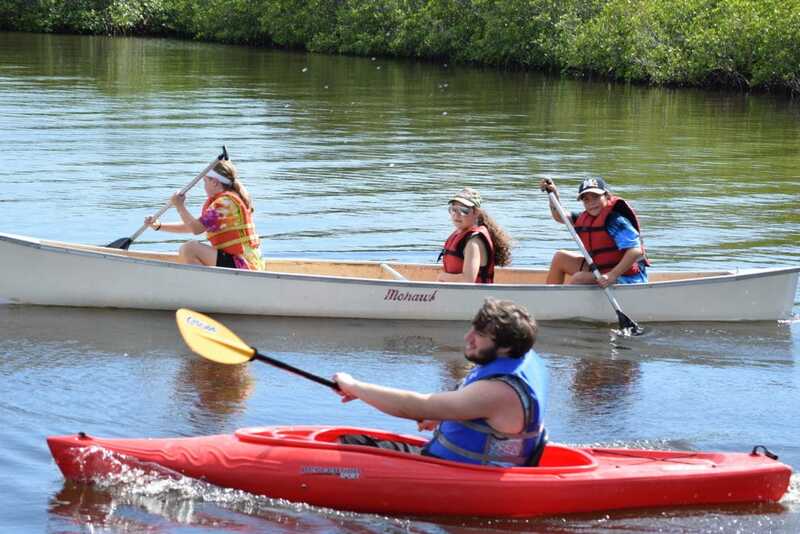 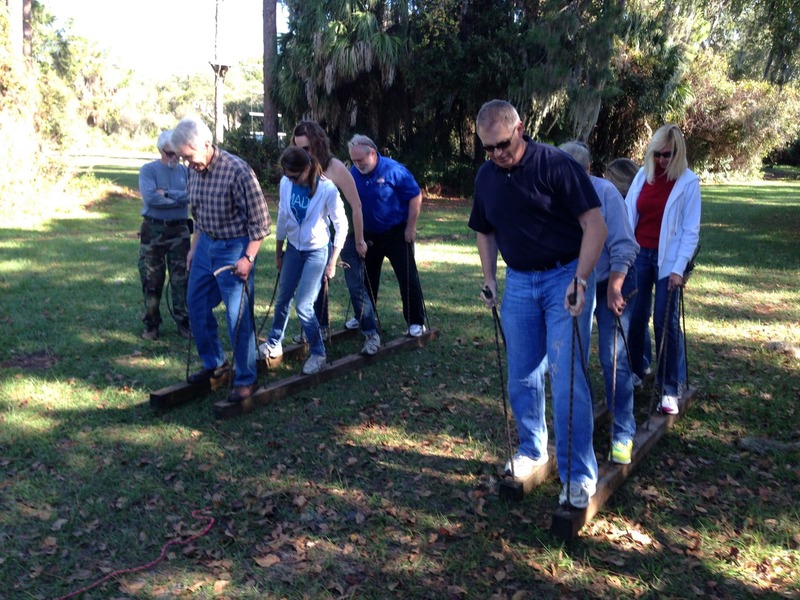 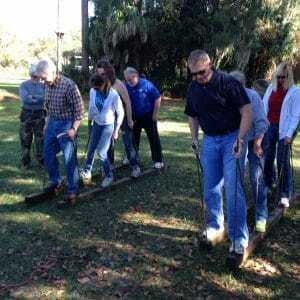 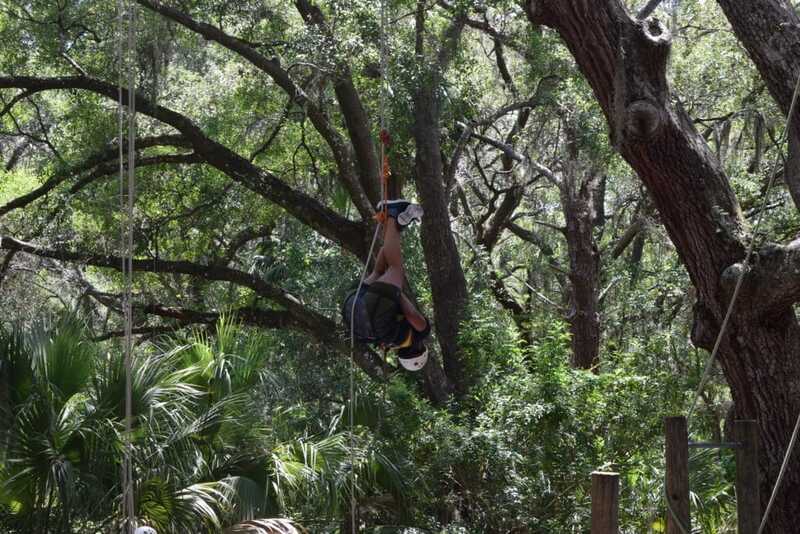 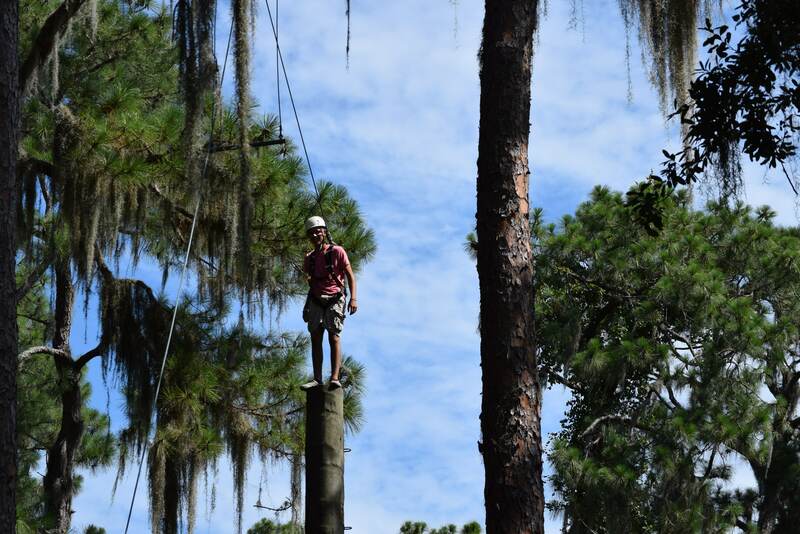 Reserve a time for your group by calling DaySpring Reservations at (941) 776-1018. 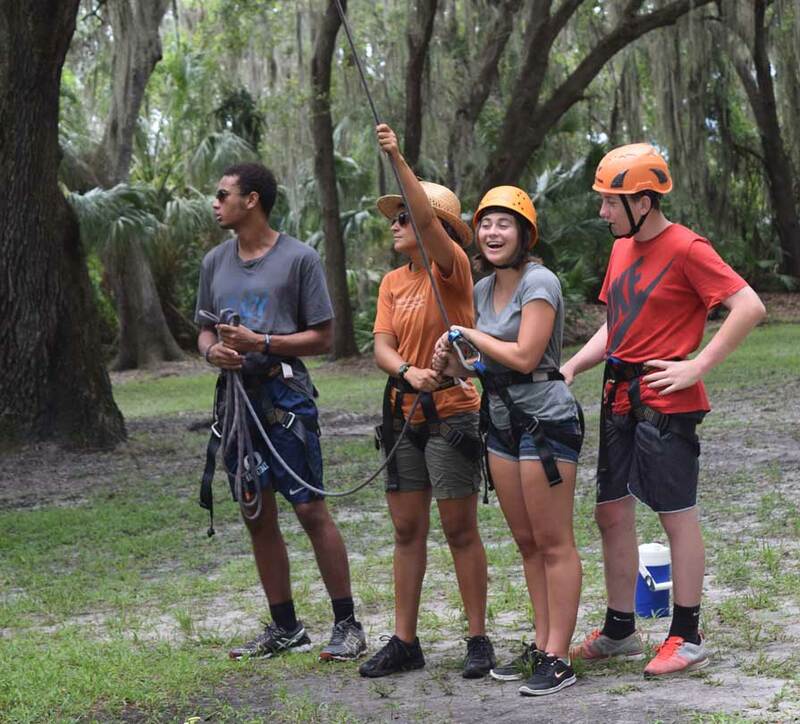 Pathfinder, Inc. is a non-profit organization that builds character and community through outdoor adventure. 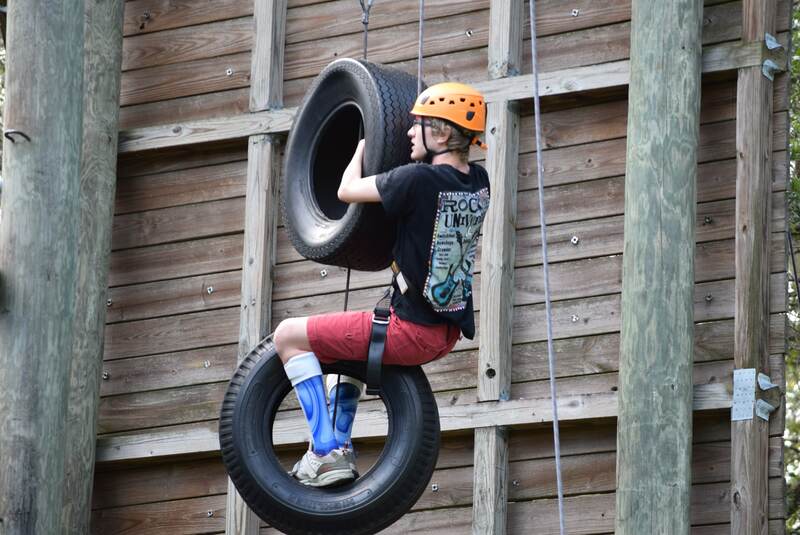 Pathfinder delivers their one-day or overnight programming at DaySpring. 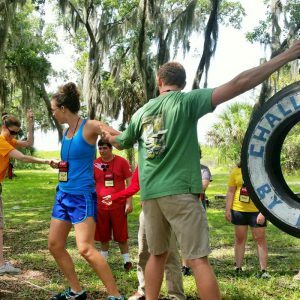 Pathfinder facilitators have current training in First Aid, CPR and water safety and have expertise with teaching all ages and abilities. 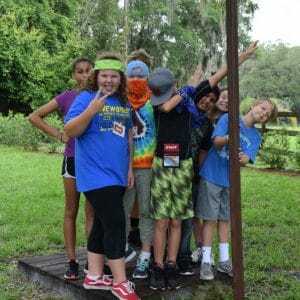 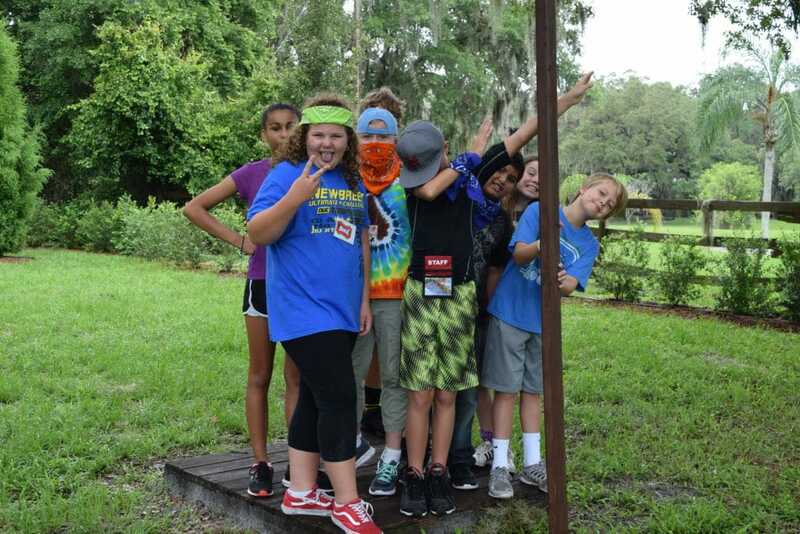 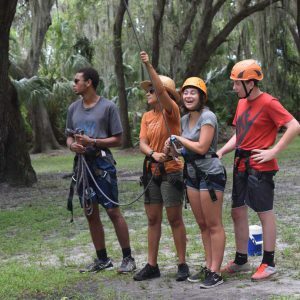 Common Ground Adventures is an organization whose mission is to provide meaningful experiences which build relationships, promote personal growth, and lead to individual accomplishment. 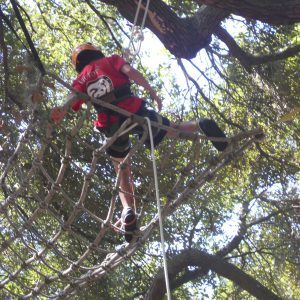 The relationship with Common Ground brings experience as facilitators, managers, trainers and rope course construction, inspection and maintenance. 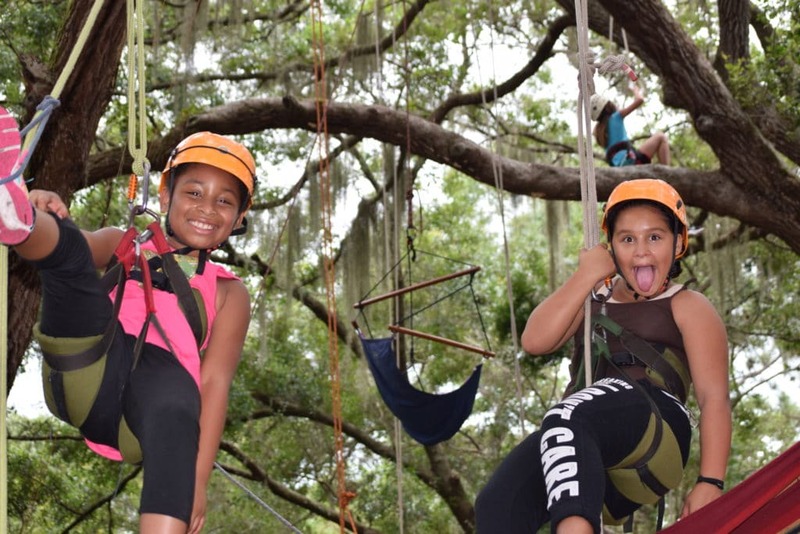 Click on one of the thumbnail images to load our full image gallery. 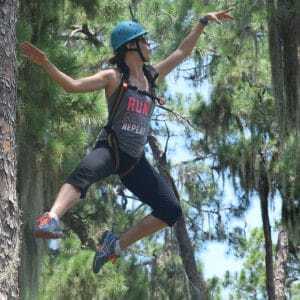 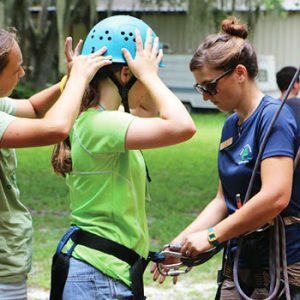 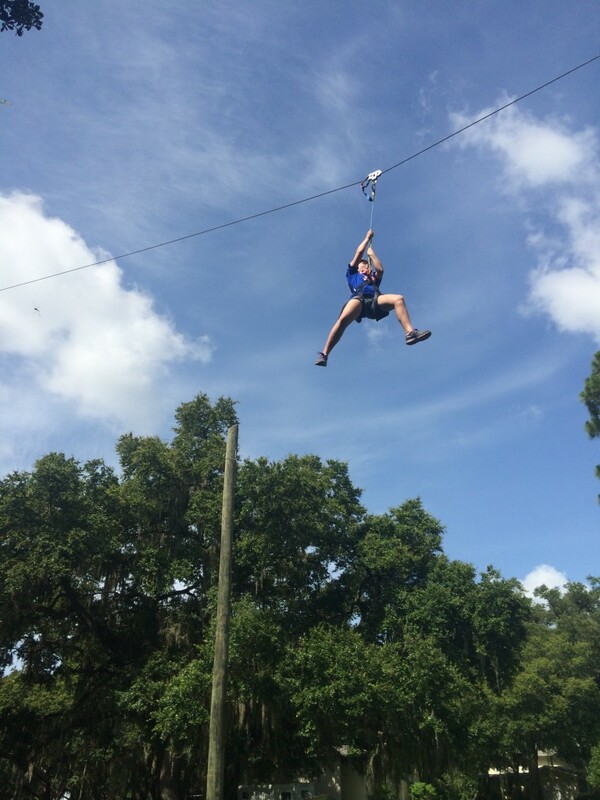 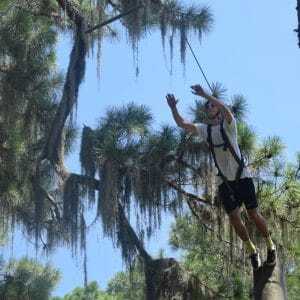 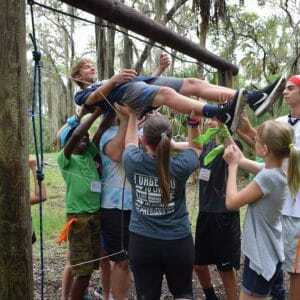 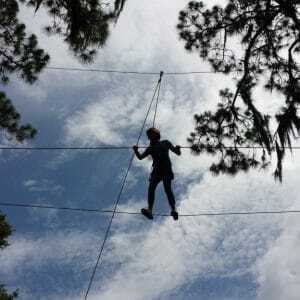 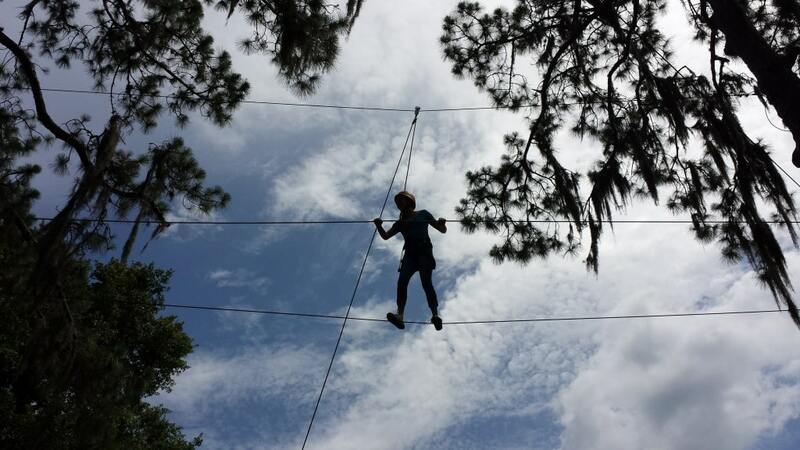 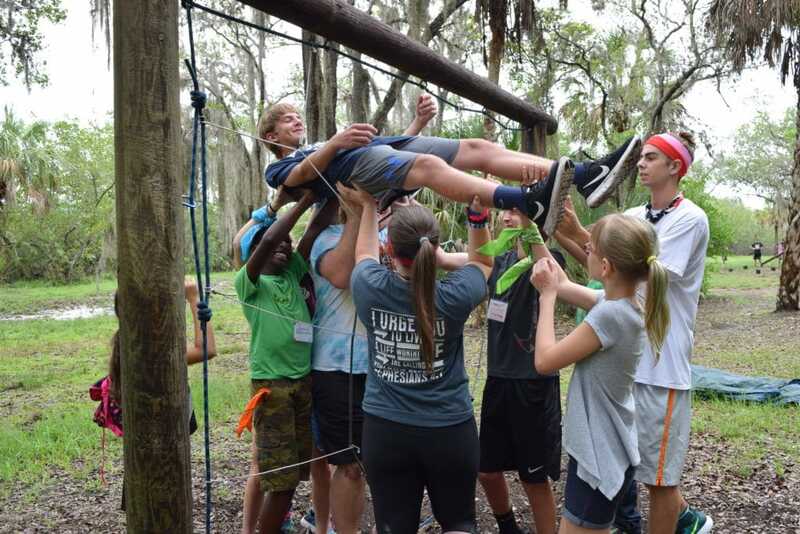 Common Ground has had a strong partnership with DaySpring since 2000, both in managing their ropes course and providing programming for clients who visit the conference center. 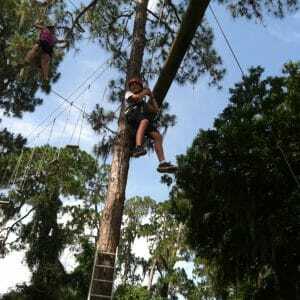 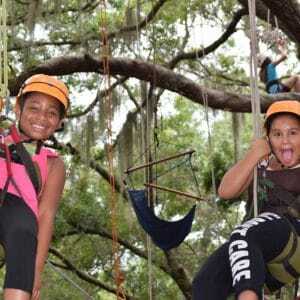 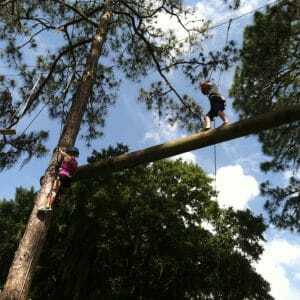 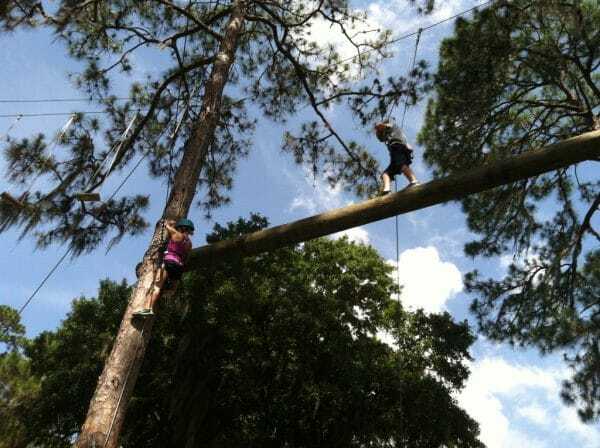 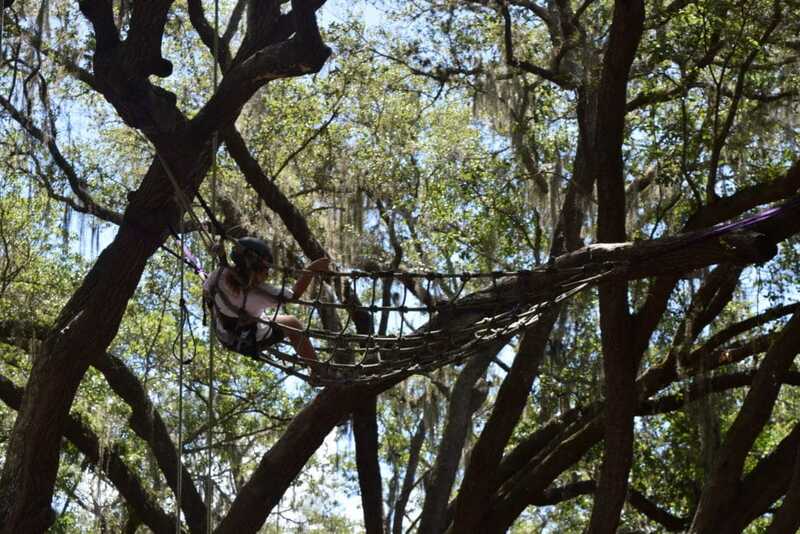 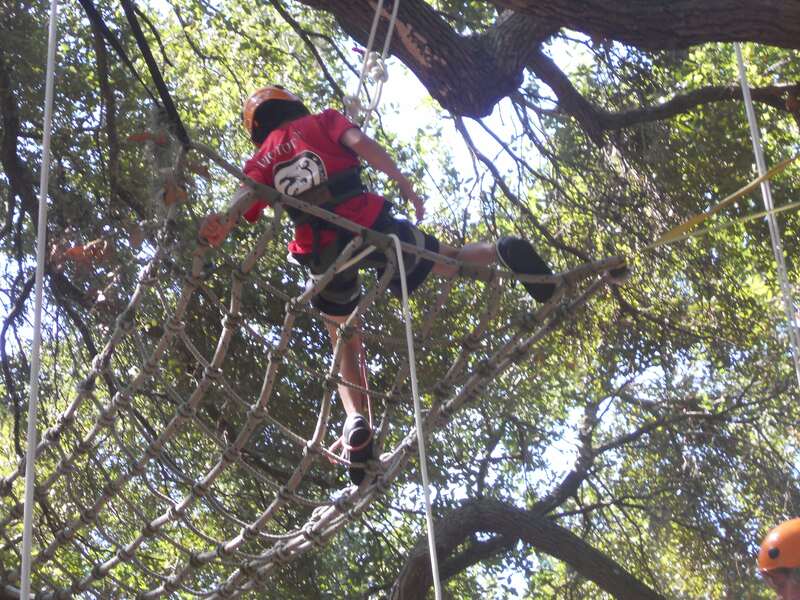 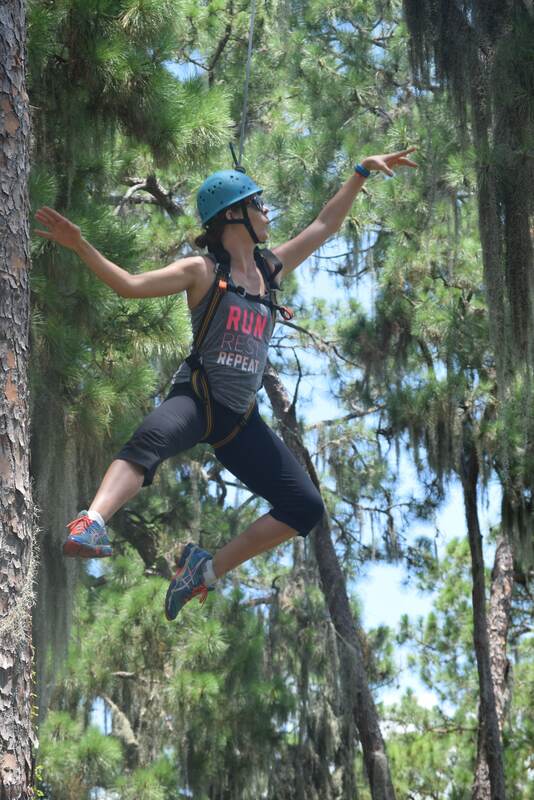 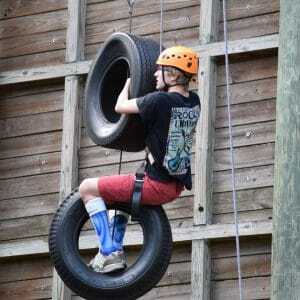 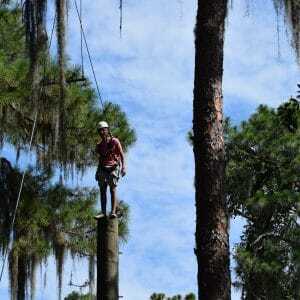 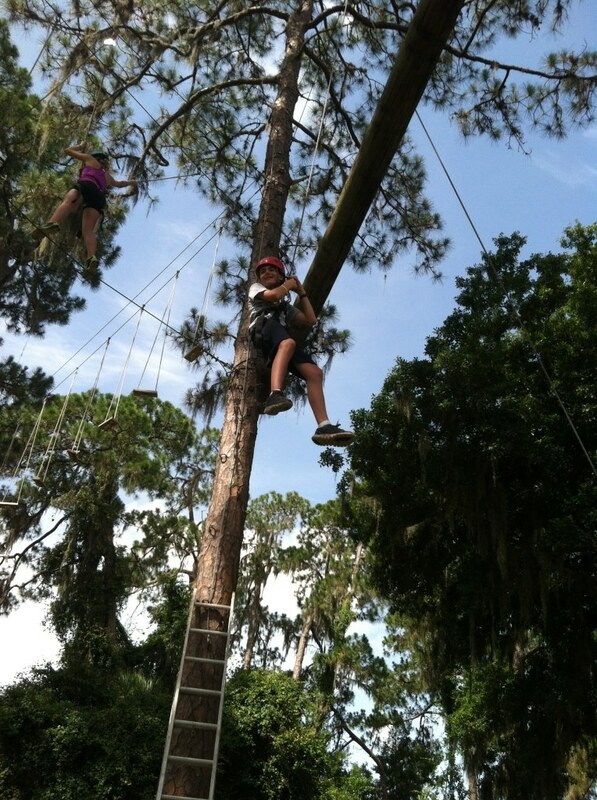 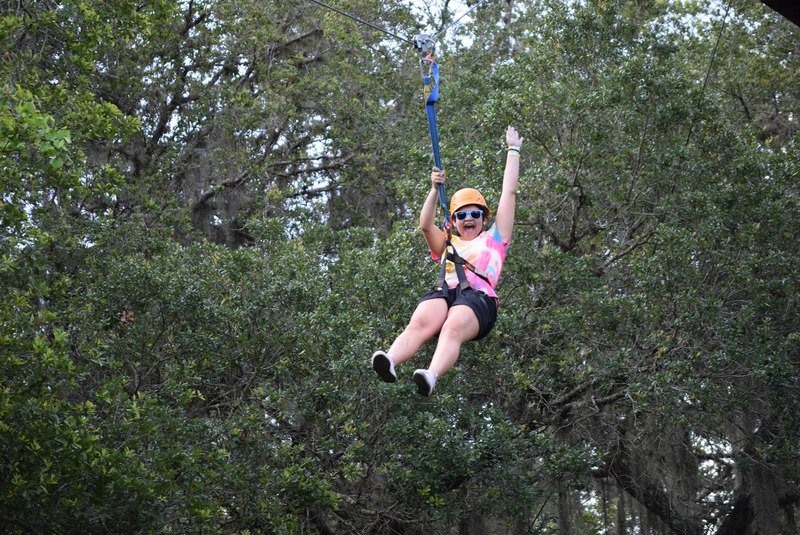 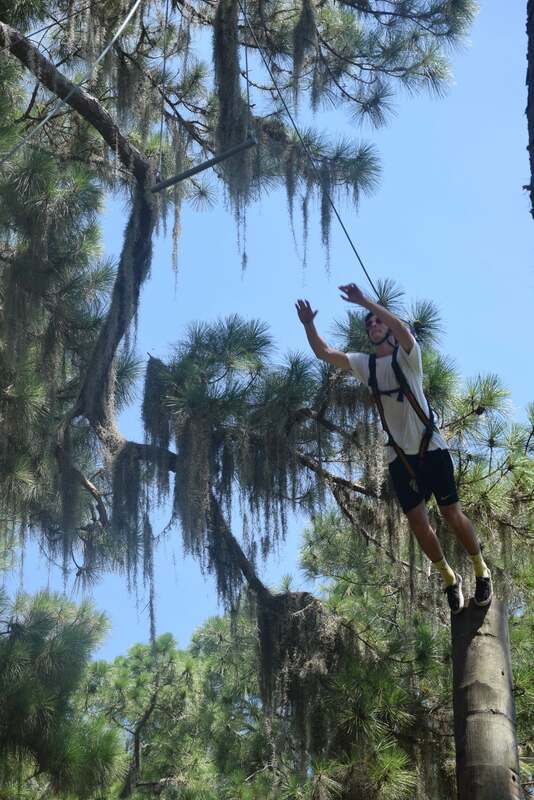 DaySpring provides a wonderful challenge and ropes course which offers quality adventure-based programming. 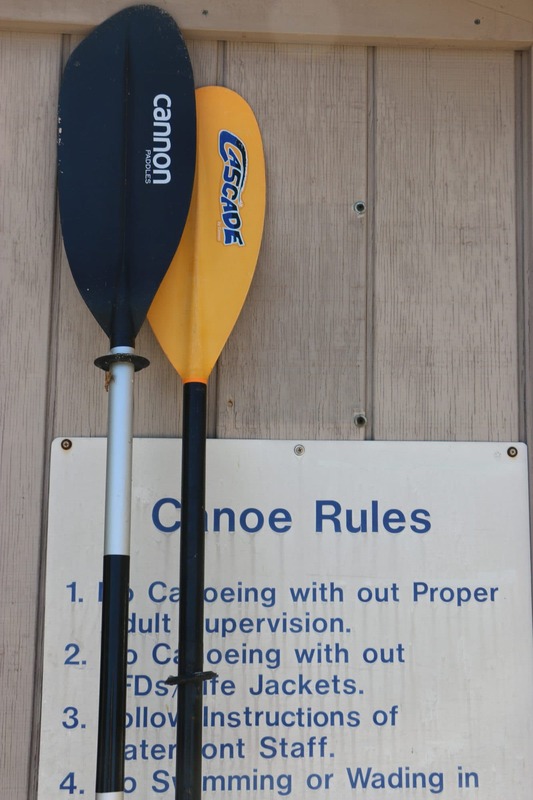 It is a model that has been duplicated with other facilities throughout the state, and is a special place for Common Ground. 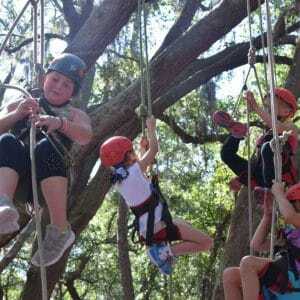 Pathfinder has partnered with DaySpring for over a decade to provide adventures to groups of all ages. 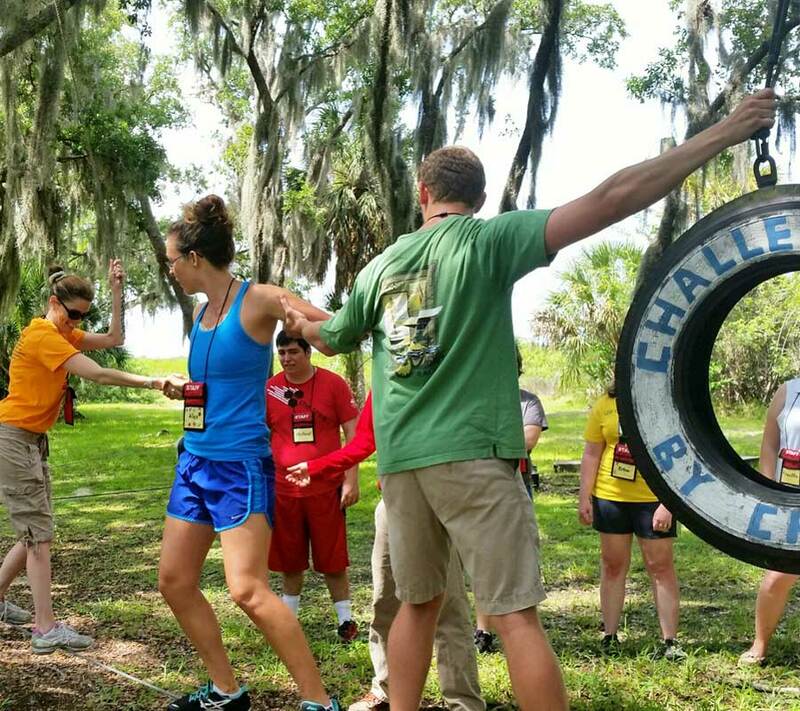 The sense of community created by the staff and the pride they take in their work has fostered this mutually beneficial relationship. 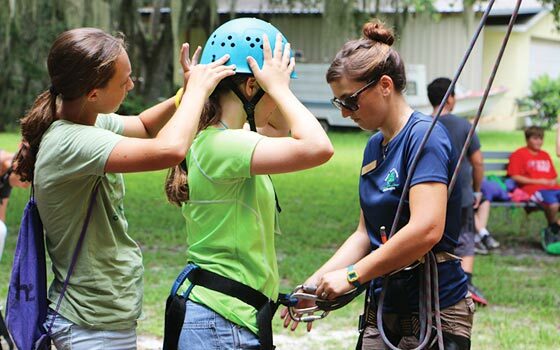 We look forward to many more years of collaboration.